This book will help explain the steps in a basic dental visit for a young child. 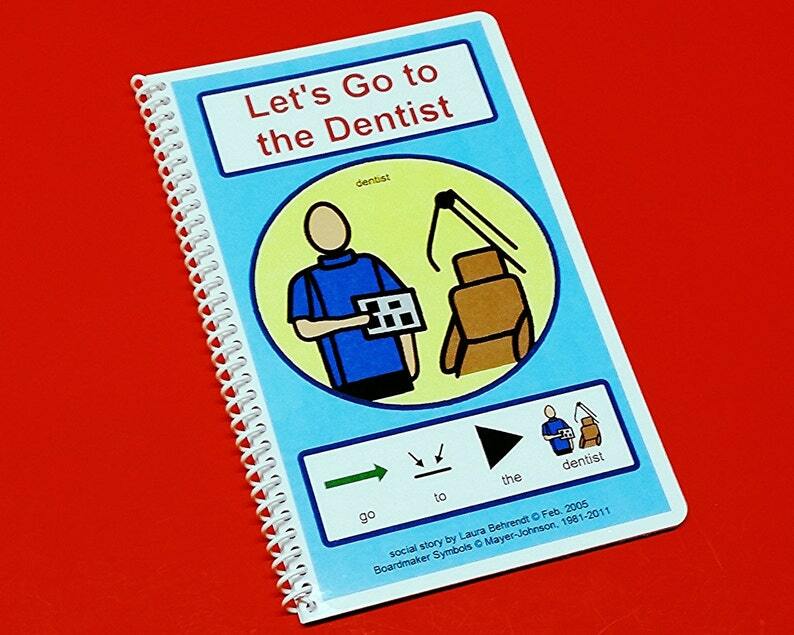 Some of the basics include: the waiting room, opening your mouth, paper bib, the dental chair and light, x-rays, etc. Getting your child familiar with some common things they will encounter can help make your child's dental visits more successful. Also comes with a visual schedule for the dentist visit. I have a book about teeth cleanings called Getting My Teeth Cleaned. You may want to opt for this book instead if your child is in 2nd grade or above, or is very verbal and is able to understand more detail.